OK, The World Can End. I've Seen It All. Looks more like an egg of Alien – you know, like Sigourney Weaver. That kid is a nut. I am pretty sure the first one isn’t supposed to be accept. I am thinking the person is trying to say expect. 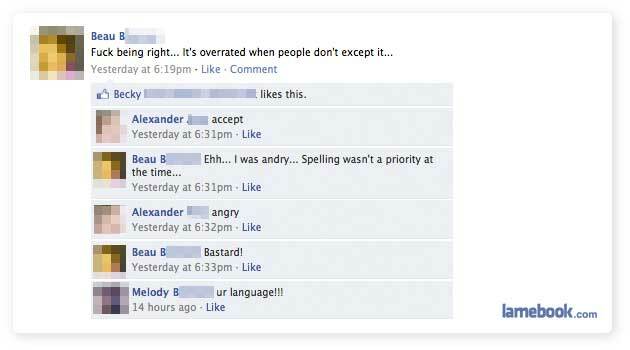 So it is funny that Alexander tried to correct him, but was wrong himself. No, Alexander was right. It is “accept”. Even funnier that you tried to correct someone who corrected someone, but you were wrong yourself. Except means to not include. Accept means to agree to, allow, or admit something. Why would someone have to accept someone being right? I don’t get it. I guess it most be an area thing. The picture is supposed to be a model of an oriole nest. It’s from the Maryland Zoo in Baltimore (big surprise, there…seeing as how it’s an oriole nest). I’ve been to that zoo before! I was like six, and I even have a picture of me and my old friend Faith in it! Oh man those were the times… Too bad I’ll think of balls whenever I look at the photo again. Maybe Beau meant that people don’t believe that he’s right? Lol at 8 not accepting 7 and 6 as being right. She was really pissed off, she’d been looking forward to heaving that plastic 12 inch vibrating version of Tony Blair into herself for weeks. 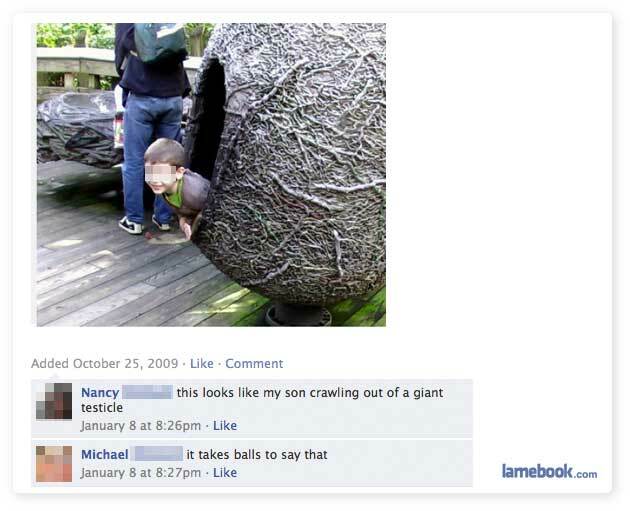 I have a picture crawling out of that testicle too.